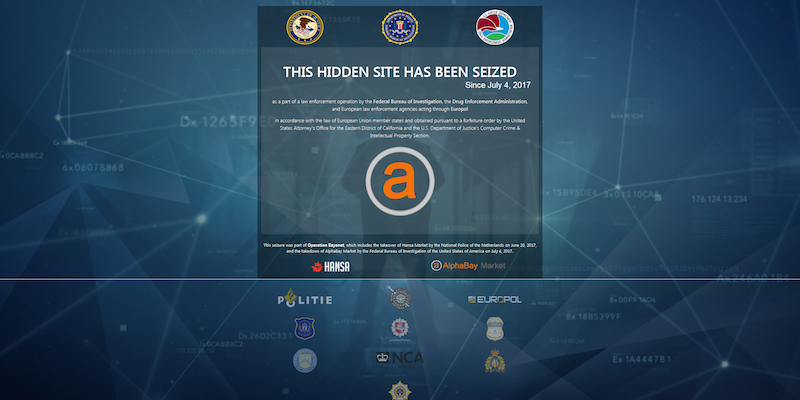 The AlphaBay dark web marketplace has been inaccessible since 05 Jul 2017. With no substantive explanation from the site’s owners, users have speculated that an either an exit scam (where administrators steal user cryptocurrency deposited to the marketplace and shut down the services) or law enforcement action has taken place. Dark web market exit scams are nothing new; the Evolution market exit scam infamously resulted in the loss of 40,000 bitcoins ($12 million). These exit scams are one of the risks when conducting business in criminal marketplaces. On 13 Jul 2017 the Wall Street Journal claimed that the disruption was caused by a combined US, Canadian and Thai law enforcement operation in which Canadian national Alexandre Cazes was arrested in Bangkok. Cazes, who was reportedly suspected of acting as an AlphaBay administrator, was reported to have committed suicide in Thai custody. At the time of writing there had been no official confirmation of the claims made by the Wall Street Journal. With each day that passes the prospect of AlphaBay returning becomes increasingly unlikely. 1. An older, established marketplace will replace AlphaBay. As is often the case when a popular marketplace disappears, users will simply migrate to other established sites. Already we have seen former AlphaBay vendors advertising their products on other marketplaces, including Hansa and Dream Market. Sellers have leveraged their AlphaBay vendor ratings as a measure of their trustworthiness and reputation. Relocation is made easier as many established vendors and regular customers would have already had multiple accounts across the major markets. With AlphaBay seemingly out of the picture, other sites will jostle for supremacy by trying to attract new users through advertising and membership deals. RS Club Market, for example, announced a referral offer on 09 Jul 2017 (a few days after AlphaBay’s disappearance) encouraging members to invite new users in return for 30% of the site’s commission fee. The House of Lions marketplace, similarly, has given AlphaBay sellers an opportunity to negotiate on the vendor fee if they can verify their experience and reputation. Enlarging your customer base, however, brings its own challenges. Hansa users have reported issues with accessing the site in the last week. As Hansa does not require users to login to view products, a large increase in web traffic may have disrupted the service. Now Hansa administrators have been forced to suspend new registrations as the deal with “technical issues” caused by what they have called an “AlphaBay refugee” influx. At this stage, the GammaBay site is still in its infancy, and the marketplace section remains unfinished. With only 20 members registered on the site so far, it is unlikely the new site will be able to reach the heights of its predecessor. Moreover, with rumors that AlphaBay had been disrupted by law enforcement, many users have expressed a reluctance to register for GammaBay, fearing that the site is actually a honey pot intended to lure in former AlphaBay vendors. Perceived trust in a market will play a large role in its chances of future success. The fallout from AlphaBay’s disappearance could have far-reaching implications for the future of the marketplace model. If an exit scam has taken place, the declining trust in these markets may lead disillusioned users towards alternative methods for conducting online transactions. 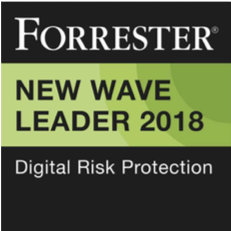 If law enforcement was responsible, then the risk of legal action will only encourage vendors to seek more secure and anonymized methods of trade. Although sites such as AlphaBay are very popular for goods such as drugs and credit card information, cybercriminals selling sensitive data or malware variants have frequently opted for direct peer-to-peer (P2P) communication and relationships made on specialized forums. While vendors and customers might lose the convenience of trading on a popular marketplace, they could decide that a P2P model will give them more control and help safeguard against exit scams and loss of funds. Following the seizure of Silk Road in 2013, some people began working on a new, fully-decentralized marketplace known as OpenBazaar. This open source project is a P2P marketplace that allows the unrestricted sale of goods between anonymous users. OpenBazaar is accessed through a front-end client which can be freely downloaded from the project website. All transactions are made using Bitcoin and are recorded on the project Blockchain as cryptographically signed smart contracts. In the short-term, we assess that an existing marketplace such as Dream Market or Hansa will most likely fill AlphaBay’s shoes. The most successful marketplaces usually have a combination of: a user-friendly interface, administrator support services, attractive fee structures, and – crucially – a strong overall level of stability and reputation among the online community. As perhaps the two most established markets with the largest number of existing users, Dream Market and Hansa are best placed to capitalize. Nonetheless, as Hansa’s recent technical difficulties have highlighted, these sites will have to undertake improvements to ensure their user experience is in line with what members will demand. For Hansa and Dream Market, this will mean minimizing technical issues and refining their associated forum pages, which both pale in comparison to what the AlphaBay forum once offered. In the long-term, the fall of yet another popular dark web marketplace will only increase calls for a more secure, stable and trustworthy alternative to the current marketplace model. Here we believe P2P models such as that espoused by OpenBazaar have the potential to become increasingly attractive offerings to vendors and customers alike. It remains to be seen when a suitable platform will finally break through and disrupt the market. Digital Shadows will continue to track the demise of AlphaBay and its successors. Our next blog will explore the prospect of decentralized marketplaces in further detail.